The elegant combination of 2 variations of limestone and upper and lower matching arches give a grand appearance to this fireplace. 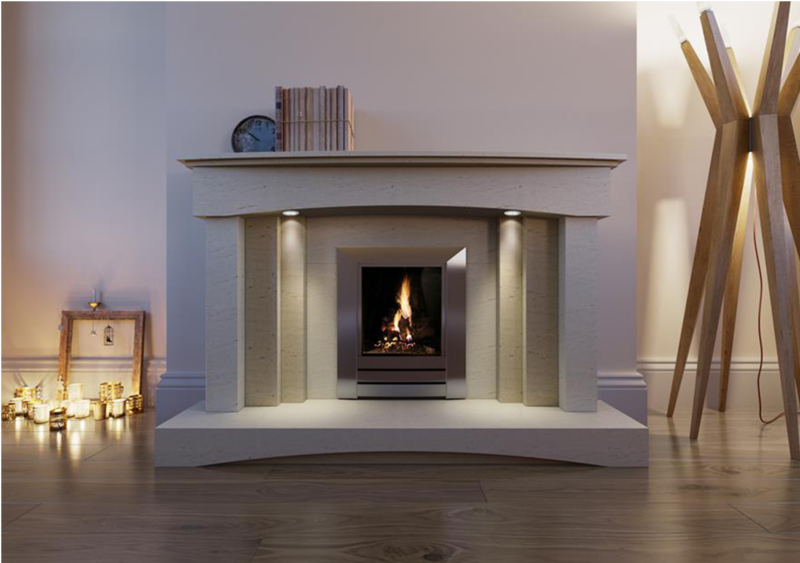 The flexibility of this surround in terms of materials allows you to create your perfect design. The downlights upon the vertical beams on this surround add an eye catching tweak which can provide your room with that sought after wow factor.